How does mobile audio technology transform our perceptual techniques? We invited two of the most important international researchers in the field of sound studies, Jonathan Sterne and Veit Erlmann, to an afternoon of explorations: to explore the anthropology and cultural history of audile techniques – as examples of sensory technologies in populare culture. An audio performance by AGF a.k.a Antye Greie is at the center of this symposion. Michael Bull and Peter Wicke will respond to the two main lectures. 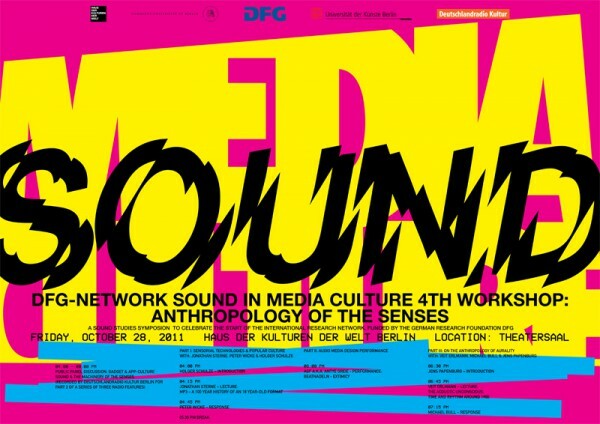 An introduction into sound studies as a – rapidly expanding and developing – transdisciplinary and international field of research. When we gonna see an update, man? This is super!